Do you remember MySpace? Ok – I know I’m a millennial dinosaur as I’m approaching my 30s but back in the day MySpace.com was LIT! Having a huge friend list was pretty much equivalent to having 10K+ Instagram followers today. As we all know MySpace suddenly went away when the next generation of cool kids aka Facebook and Instagram came along. Now what if that happened to Instagram today? How would you get in touch with your friends or followers? Having your own email list is the answer. Although IG may not be going away anytime soon it’s not uncommon for someone to get hacked and have to start their following over from scratch. Who has time for that? 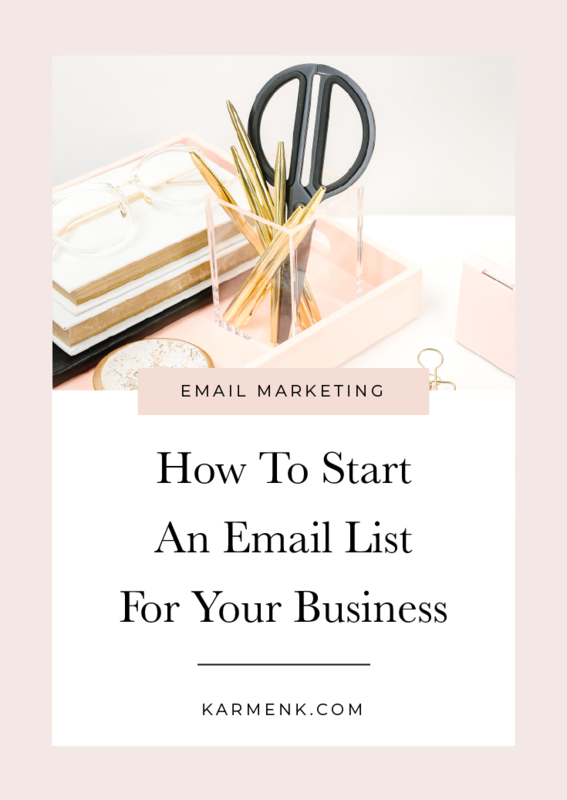 So today I’m breaking it down in 4 easy steps on how to start an email list. What is the main goal behind the list (build trust, provide info, sell products)? How will you get your target audience to sign-up (freebies, lead magnets, content upgrades)? Getting clear on the who, what, and how will help you keep your goals and content in perspective as your list begins to grow. Disclaimer I’m a little biased when it comes to list providers because I absolutely love ConvertKit! It was created for professional content creators and entrepreneurs with all the little niceties included. The thing with ConvertKit is that it’s simple and purposely lacking all the bells and whistles like customizable email templates and salesy-looking emails. The email templates are simple and look as if your friend was sending you an email. You can create specific sign-up forms with opt-in freebies and content upgrades. Automatically add your subscribers to welcome sequences and sales funnels. Another pro is that no matter how many times a person signs up for a freebie they’re only counted once as a subscriber. The only con with ConvertKit is it doesn’t have free version like Mailchimp, but it’s just one of those things that are actually worth it. However, they do offer a free 14-day trial so that’s plenty of time to test out all of the features without a full-on commitment. Here’s a sneak peek at the backend of my ConvertKit. If you think someone is signing up to get your weekly sales letter (aka newsletter) as an incentive to join your list, then you’re just clearly delusional sis. And I mean that in the nicest way possible! Seriously, you have to create an irresistible offer that your target audience would love but also one that primes them for your paid products and services. Example your target audience may love a free meal planner printable but that makes zero sense if you’re a copywriter that’s trying to sell copywriting services. Instead if you are a web designer like me you can create website planner that helps your target audience create a plan for their website which may lead them to booking a web design project. 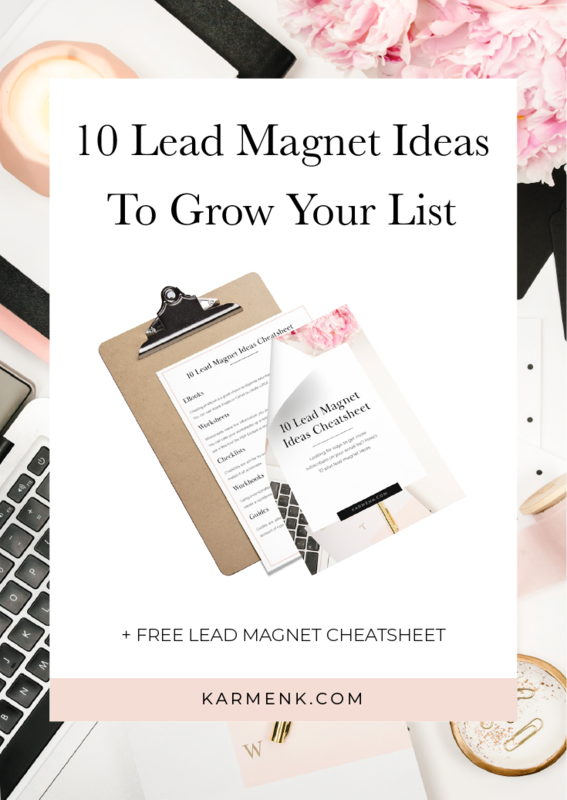 I know my last example may not apply to everyone but you can check out another blog post of mine that gives you 10 lead magnet ideas plus a downloadable cheat sheet. Disclaimer: Some of the links in this post are affiliate links, meaning I will receive compensation from the companies whose products or services are recommended at no additional expense or cost to you. I have used every product or service provider recommended and I only endorse tools that have worked for me. 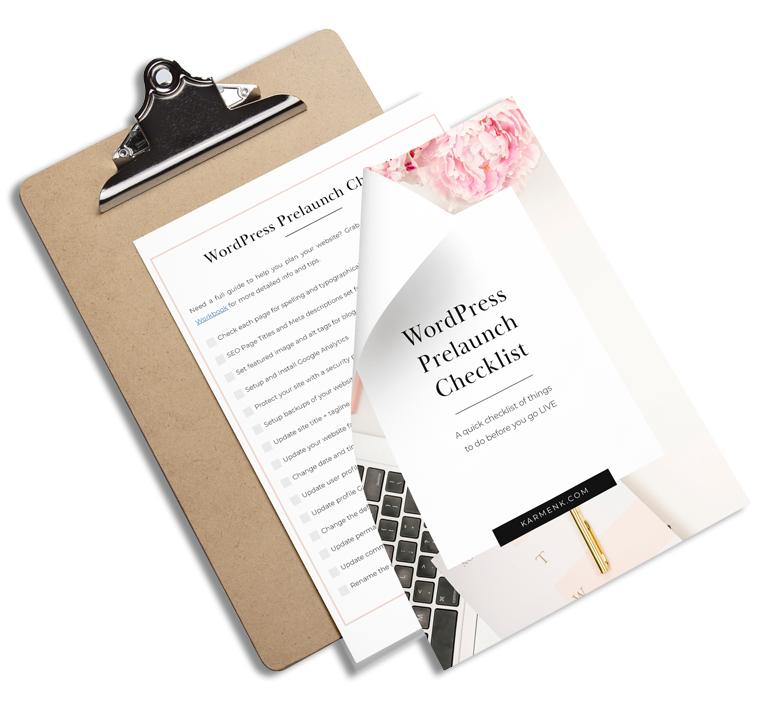 Grab your copy of the WordPress Prelaunch Checklist. Leave your info below and a copy will be sent to your email within minutes. You will be added to my mailing list but you may unsubscribe at any time. Looking for ways to get more subscribers on your email list? You need a lead magnet. I’ll explain what a lead magnet is plus 10 ideas!